Unlimited SIP Trunk Provider | 8x8, Inc. Even if you are using Voice over Internet Protocol (VoIP) for your telephone communications, adding a Session Initiation Protocol (SIP) layer on top of VoIP can dramatically improve efficiency while saving you money. SIP technology treats voice calls in the same manner as data. Whether you are making a phone call, retrieving a voicemail, sending an email, or watching a video, SIP technology views it all as data packets. That means there are no additional costs for video conferencing or making long-distance calls using the Internet. This can be especially effective for organizations with remote workers or multiple locations. In addition, upfront investment costs are relatively minor since the technology can be handled in the cloud. What Is an Unlimited SIP Trunk Provider? Using this protocol and media streaming technology, unlimited SIP trunk providers can give you telephone services and unified communications. SIP trunking replaces your traditional business phone line by providing a virtual connection to the Public Switched Telephone Network (PSTN) via the Internet. 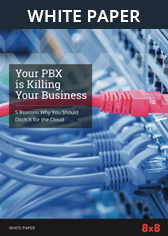 This SIP trunking allows VoIP users to make calls directly to any phone on the PSTN without using telephone lines on a cloud-hosted Private Branch Exchange (PBX) system. SIP trunking services typically come with bundled plans connecting to enough trunk to make sure you never receive a busy signal. Limited SIP trunk providers use a set allowance of minutes and add an overage charge for minutes exceeding the allowance when completing the call. Unlimited SIP trunking means exactly what it says: one flat fee for all calls regardless of the minutes used. When choosing an unlimited SIP trunking provider, make sure you are working with a company that uses a Tier-1 redundant network. This means a direct connection to the backbone of the Internet. While Tier-2 or Tier-3 networks may be cheaper, they don't all have the communications infrastructure sufficient to handle all of your incoming and outgoing network traffic efficiently. You also need to avoid providers that have problems with packet loss or latency. You will want a provider that can assure you they have less than 1 percent packet loss and a latency standard of 150 milliseconds or less. Any SIP provider you approach should be able to provide you with their statistics and standards. High quality (and high speed) bandwidth is essential to take full advantage of SIP technology. Think carefully about any unlimited SIP trunk provider that requires you to pick them as your Internet Service Provider (ISP). You will want to make sure you are free to use whichever ISP you desire and not be locked into doing business with only your SIP provider. It may be fine to consolidate your SIP provider and ISP, but it may not be the best solution for your specific usage. Connect business apps such as Salesforce, Zendesk, or NetSuite using customer-ready APIs.